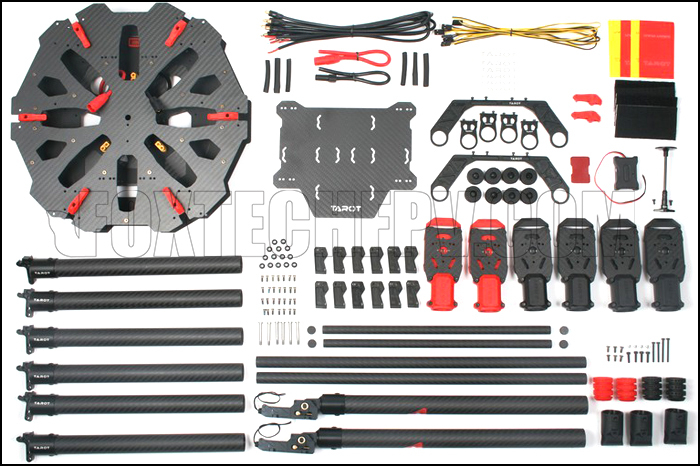 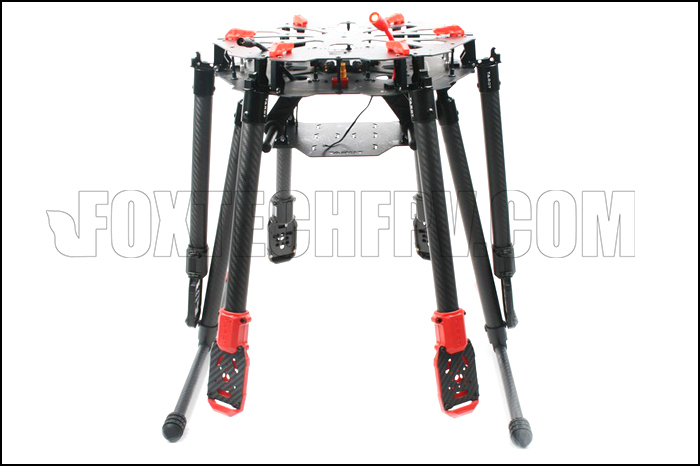 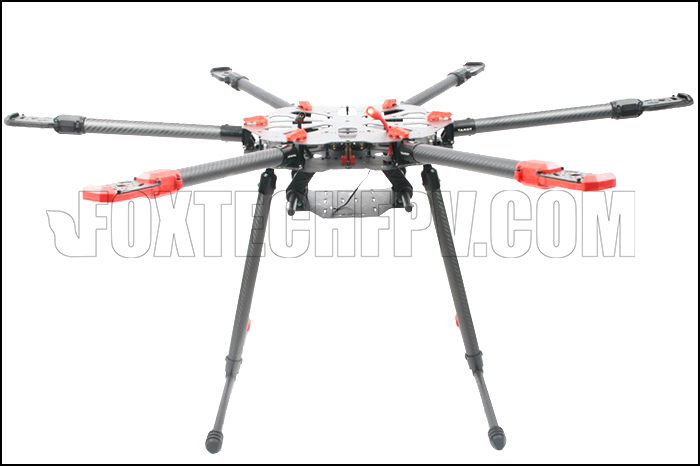 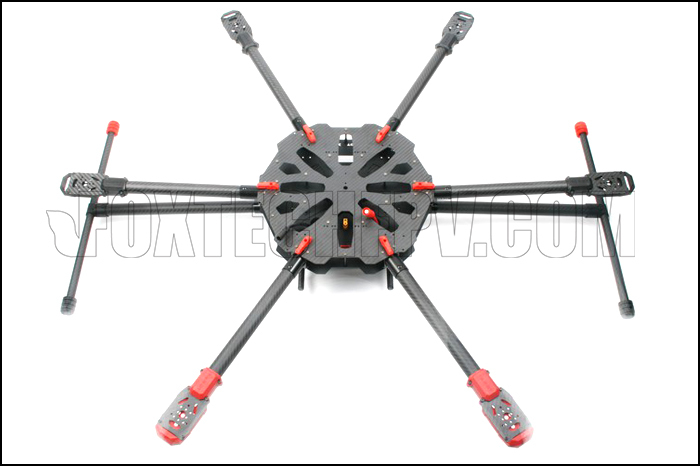 Tarot X6 hexacopter is one of the professional photography equipments carriers. 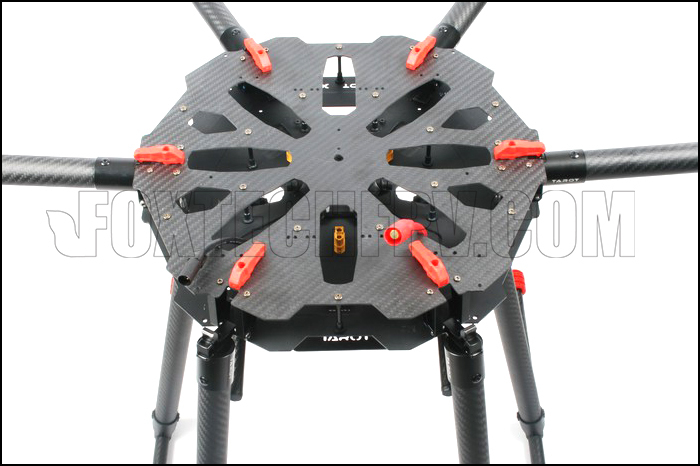 New electric retractable landing gear and umbrella-type arm combine to enable a wide range of shooting angles and camera motions. 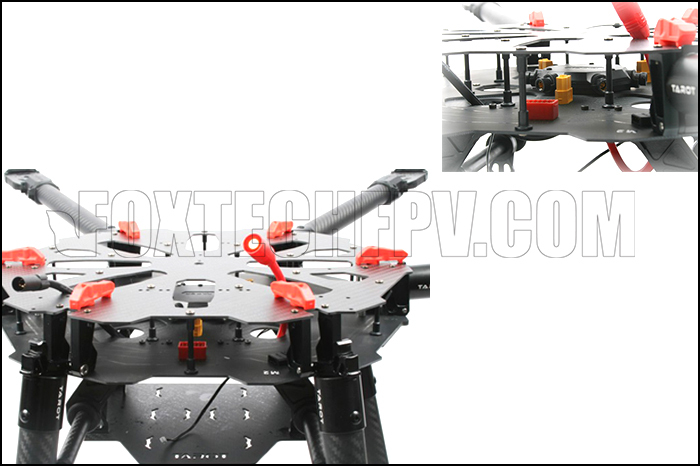 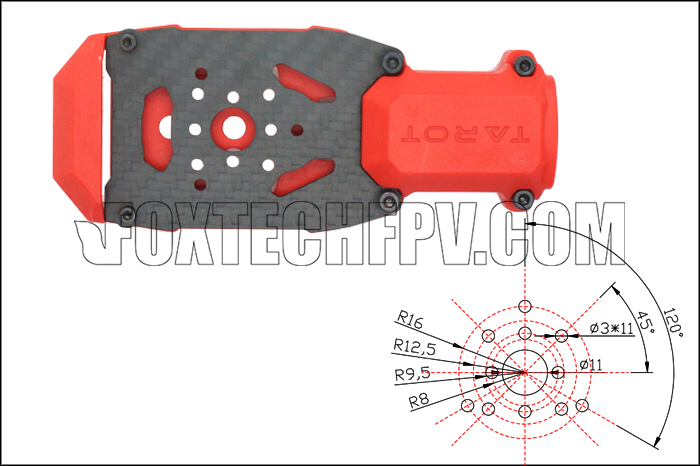 Under the recommended configuration with tarot 5008 kv340 motor, Foxtech Multi-Pal 40A OPTO ESC and Foxtech 1855 CF propellers, the Tarot X6 is easy to hold 5D devices with long flight time.